A mechanical seal is a device that uses mechanical pressure to seal whatever is inside from whatever is outside. A mechanical seal might be used to prevent contamination from leaking into a joint between two plumbing pipes and to stop water from leaking out. Mechanical seals can be used in high pressure, manufacturing applications or in something as simple as the bottom of a bathtub. A mechanical seal is a device that uses mechanical pressure to seal whatever is inside from whatever is outside. A mechanical seal might be used to prevent contamination from leaking into a joint between two plumbing pipes and to stop water from leaking out. Mechanical seals can be used in high pressure, manufacturing applications or in something as simple as the bottom of a bathtub. One of the simplest mechanical seals is a plug. A plug is made of a spongy material such as rubber or cork. When it is jammed in to a hole, it presses against the outside of the hole, creating mechanical pressure. This pressure seals the hole, stopping it from leaking. A gasket uses the same principles. Because it is spongy, it can cover and seal the joint between two objects. If the two things being joined are not precisely aligned, the gasket can bridge the difference, sealing fluid out. Many mechanical seals work simply by having things screw in and fit tightly together. For example, if you screw a hose in all the way to a faucet, very little water will leak out. The hose and the faucet fit almost perfectly together, and the water does not have an easy way to get out of the seal. 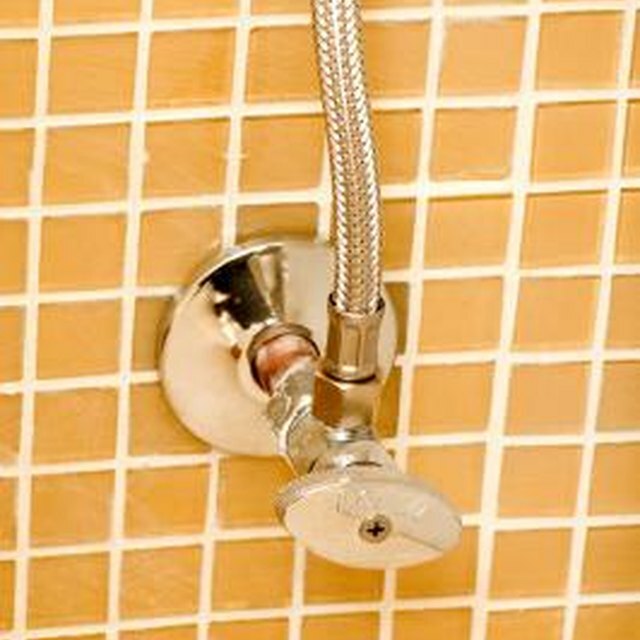 Water that leaks has to travel around and around in a spiral through the thin gap between the hose and the faucet to get out. As a result, little water escapes. More complex seals use the mechanical pressure discussed in section 2 combined with the tight fit in section 3. For example, shafts used in pumps fit very tightly in their casing, and have a layer of oil between the two to help keep water out. In addition, there will often be a gasket between the casing and the shaft, physically pushing againist both. Together, these multiple mechanical seals can create a strong enough barrier to resist high pressure. What Kind of Pipe Insulation for Sweaty Pipes?